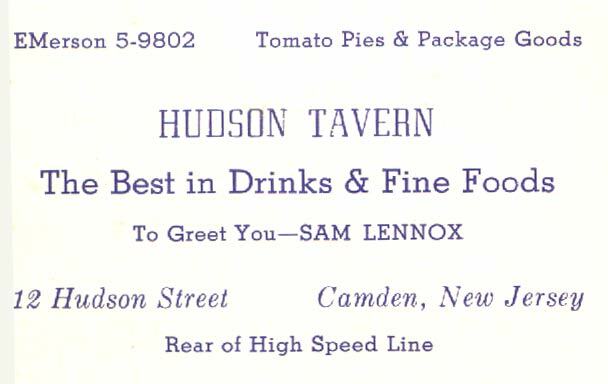 Sam Lennox was born in Camden in 1897 to James and Catherine Lennox. 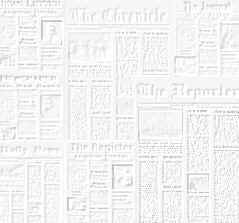 His father was a railroad laborer. 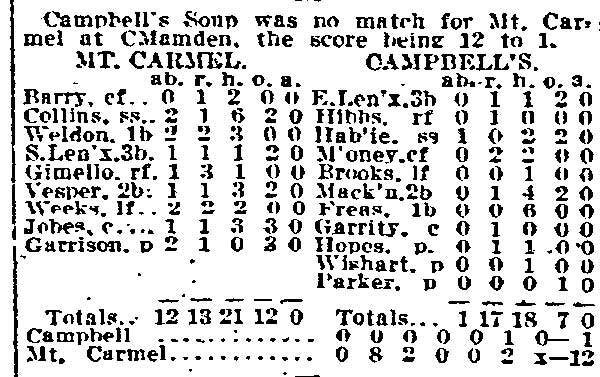 His older brother, James Edgar "Eggie" Lennox, played major league baseball for four different teams between 1906 and 1915, compiling a .274 batting average. 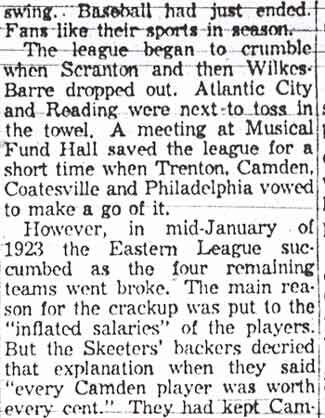 Sam Lennox played professional basketball, and was a member of the Camden Crusaders team that won the Eastern Basketball League championship in 1919, owned by Camden veterinarian Dr. Charles Helm and his partner, W. Penn Corson. 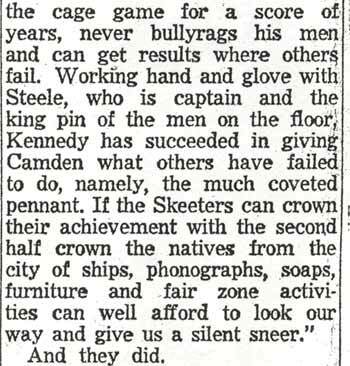 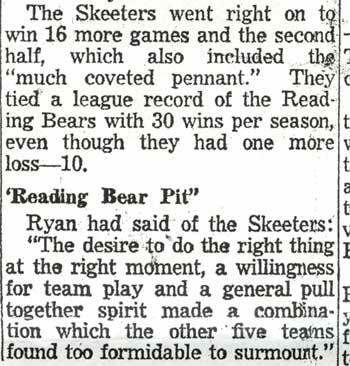 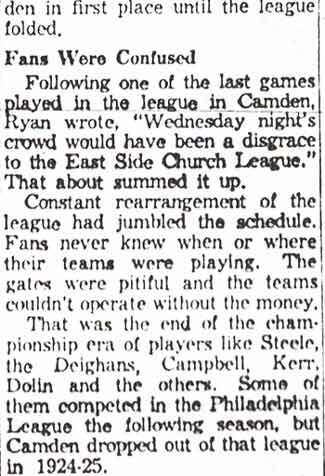 Among his teammates were Neil Deighan, Roy Steele, and Joe Hyde, all of whom also went on to successful career as bar owners in Camden. 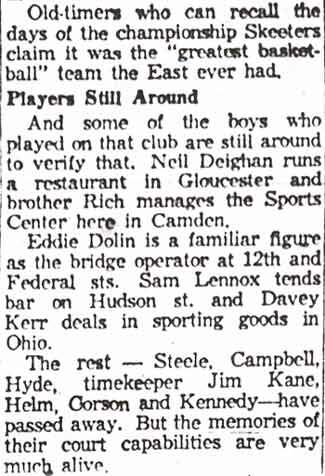 He also played alongside Eddie Ferat, who went on to work in Camden's city government for many years. 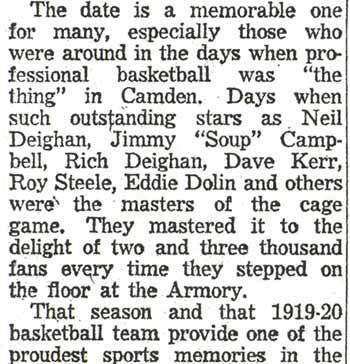 The team, coached by William "Billy" Morgenweck, was known as the Camden Alphas prior to World War I. The Alphas were the league champions in 1914-1915. 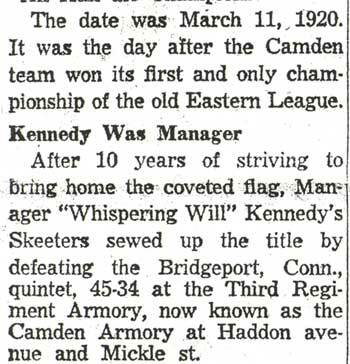 Renamed the Camden Crusaders after World War I, the Camden five were champions again in 1919-1920, winning both halves of the split-season with a combined 30 and 9 record. 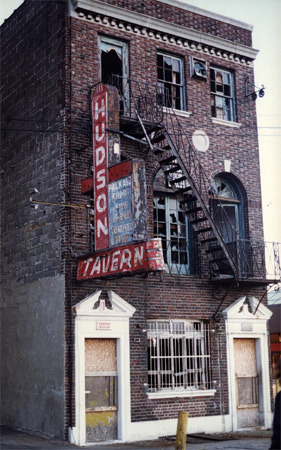 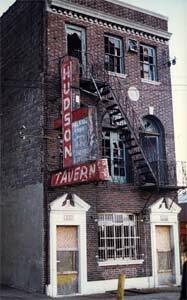 By the late 1950s, Sam Lennox was running the Hudson Tavern, at 12 Hudson Street, just off Federal Street in Camden south of City Hall. 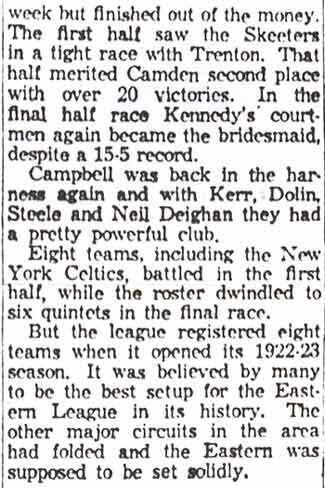 Samuel Lennox had retired by 1970 and was living at the Westfield Towers senior citizen's high-rise. 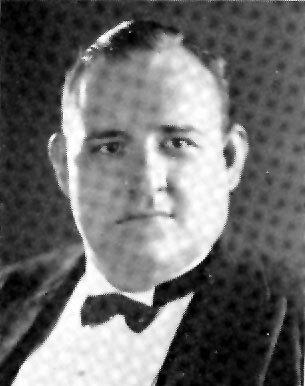 He passed away in August of 1976, aged 79. 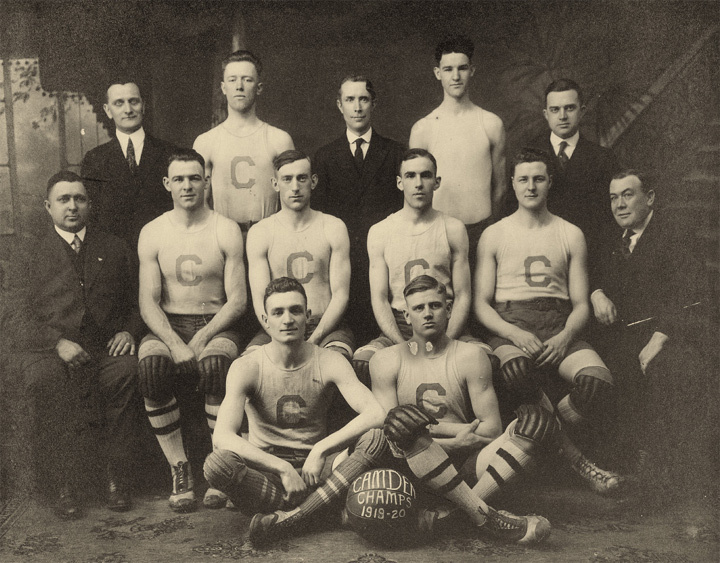 Front row, left to right: Jimmy “Soup” Campbell and Joe Hyde. 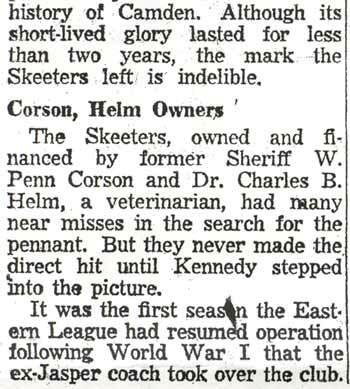 Eddie Dolin, Dave Kerr and Sheriff W. Penn Corson. 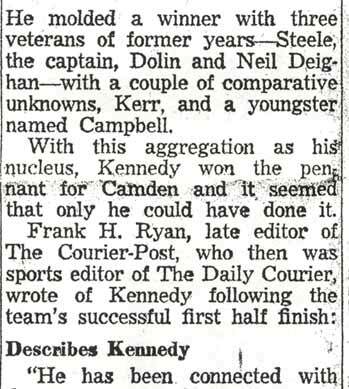 Manager Bill Kennedy, Richie Deighan and Timekeeper Jim Kane.